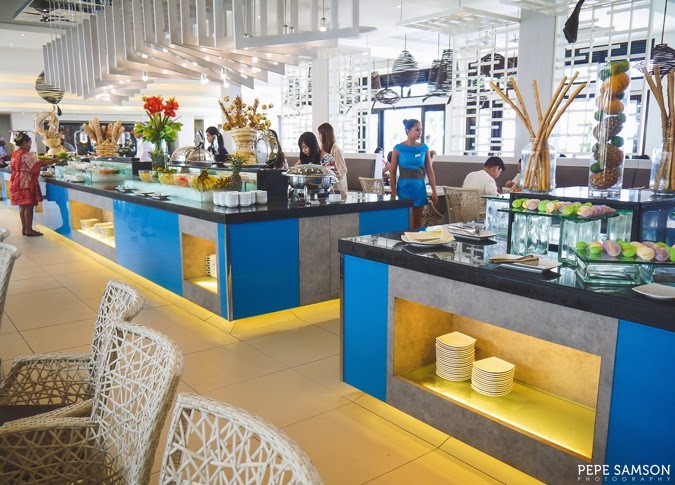 If you see a crowd gathering around a certain restaurant along the shore in Station 2, chances are it’s the Sea Breeze Café in Henann Regency. 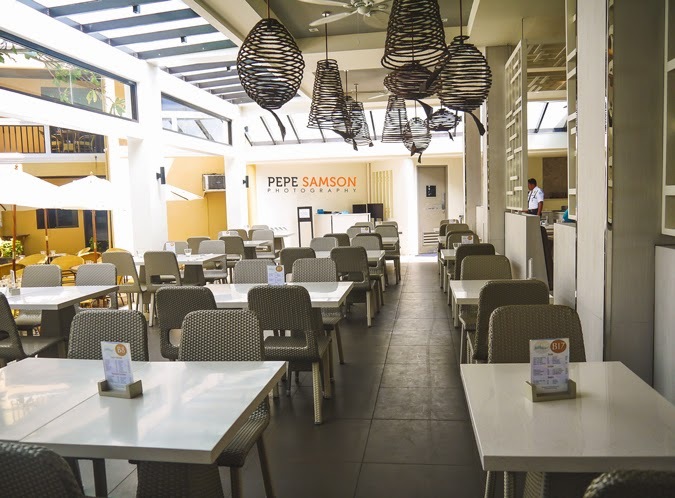 Known for its sumptuous buffet offerings and its other claim to fame, the Dancing Chefs, Sea Breeze Café was recently renovated, aiming to provide a larger space and a better dining experience to the hungry beach goers of Boracay. 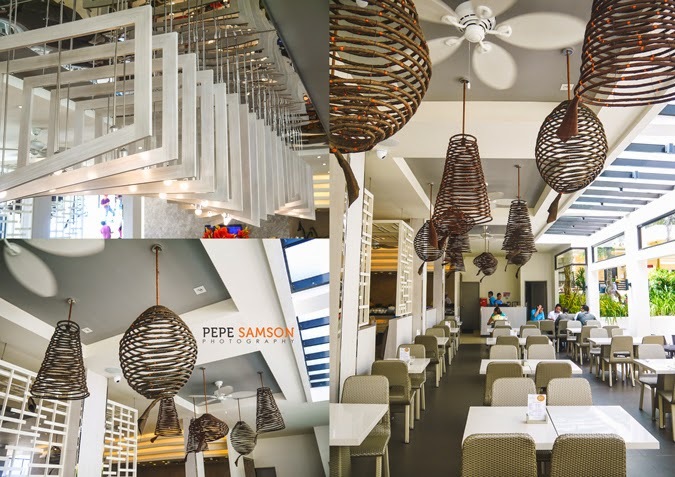 I wasn’t surprised to find that Sea Breeze Café, being a part of Henann Regency Resort, is very well-designed and elegant. The dominantly white interiors gives it a vibrant, crisp look, the contrasting blacks and browns adding to the overall sophistication. The splashes of blue mimics the beach's atmosphere. 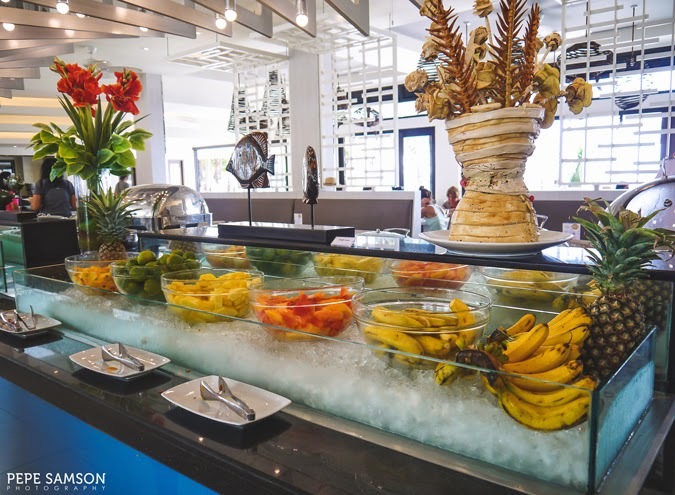 Each station is decorated with flowers and containers made of fruits, giving the restaurant an island vibe. 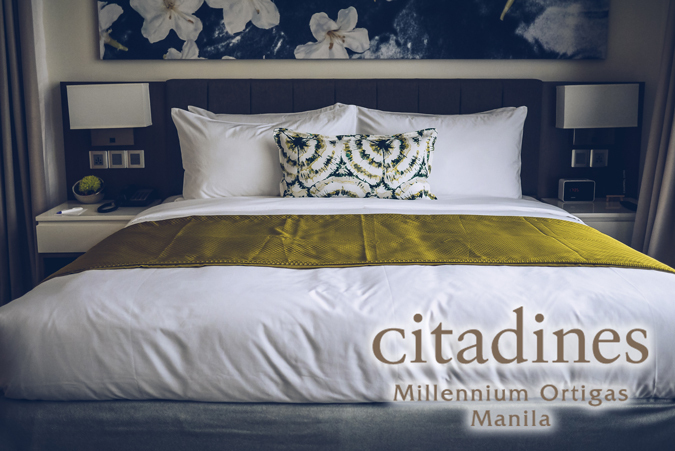 At night, the overhead lighting makes it even more stylish, giving the place a golden glow. 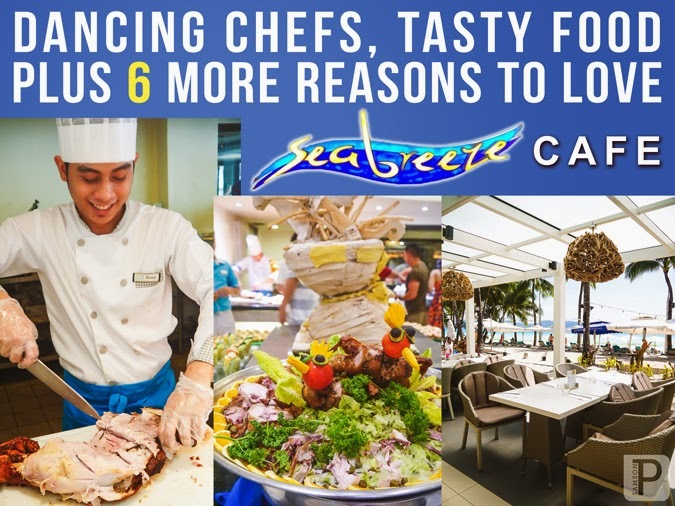 By 8PM and 9:30PM, more people—customers and passersby alike—gather in front of the restaurant in anticipation of the famous Dancing Chefs of Sea Breeze Café. 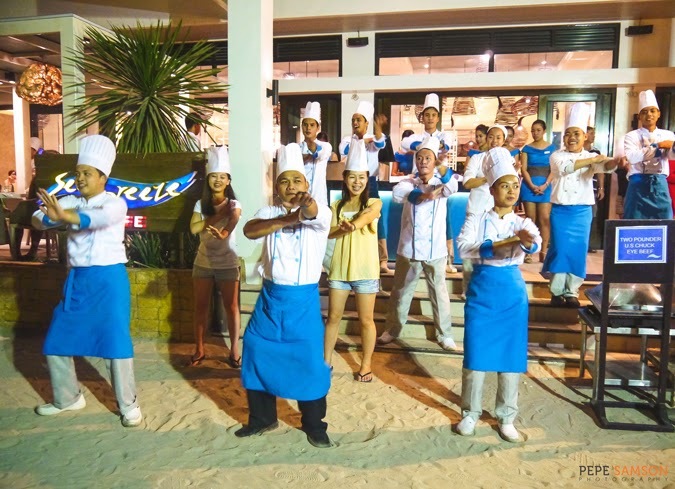 All the chefs leave their stations and take up their spots in a dance formation, and once the music starts, they all do their cute moves in unison. 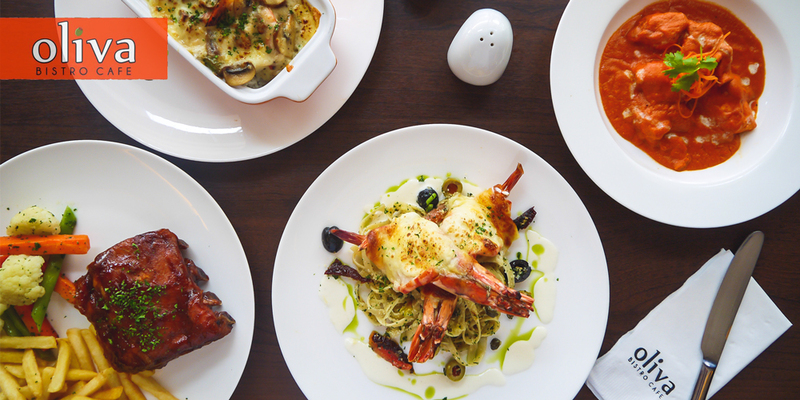 If you’re having dinner, you can’t help but get up from your seat to witness the entertaining spectacle. 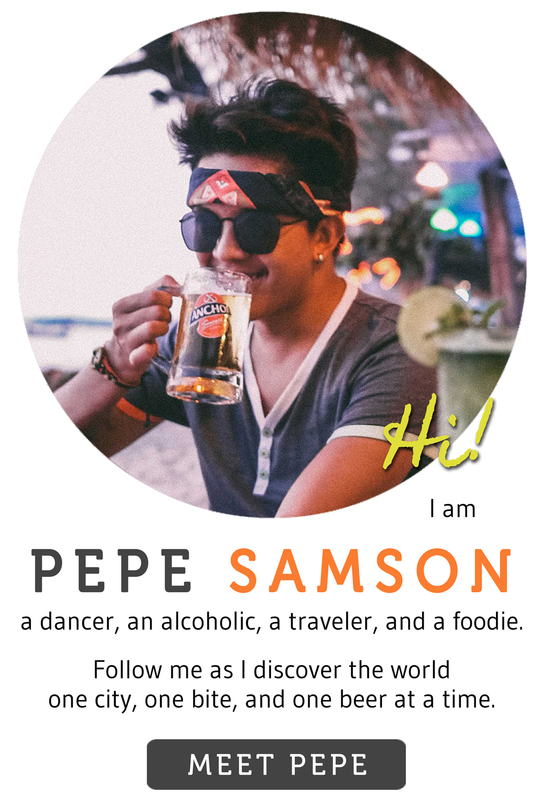 I can’t blame you—even the passersby get very curious, stop for the entire length of the show, whip out their smartphones, and take videos of the chefs dancing to Korean songs, “Nobody” and “Gangnam Style”. 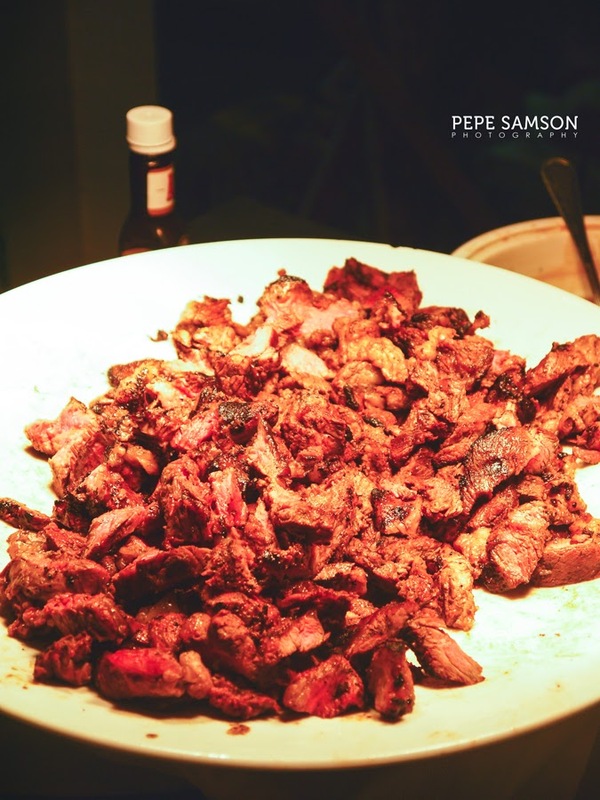 As a performer myself, what I really appreciate about this show is that the chefs are all “game” and very enthusiastic with what they’re doing. You can’t spot anyone with his head down, ashamed of being there in front of a huge crowd. It’s the first rule of performing: before you make others enjoy what you’re doing, you’ve got to enjoy it yourself first. 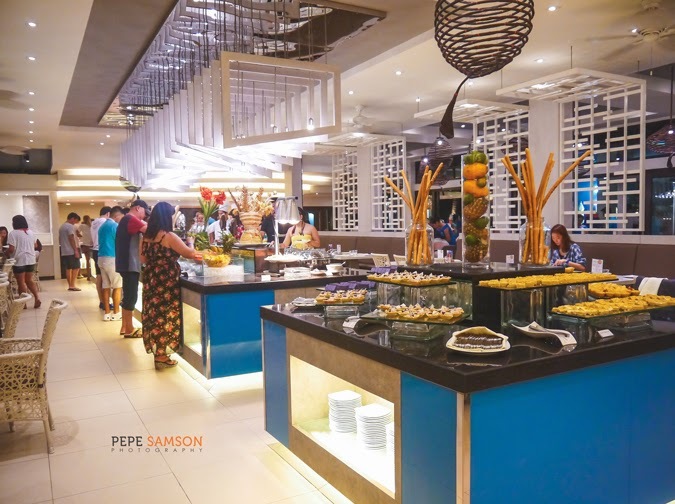 As if a dance number is not enough, a band regales guests during dinnertime with music that range from ballads to pop music to lively 80s and 90s hits. The 3rd Crew Band, which is composed of 4 female vocalists and 1 male keyboardist (who can also sing, I hate him), gets everyone’s appetites going with their amazing singing prowess. If you don’t believe me, just listen to their rendition of “Chandelier” below. When they performed that particular song, everyone inside was howling and the beachfront entrance resembled EDSA revolution. I wanted to throw plates and silverware in all directions. My newfound friends and fellow bloggers kept listing down challenging songs—including Bohemian Rhapsody—but the versatile band still managed to perform it excellently. I was at a loss for words, to be honest. DON'T JUDGE ME (and my braided hair). LOL! Some bands or performers just do it to get it done and over with, but these people from 3rd Crew are actually enjoying it. It’s evident from every gesture, every tune they belt out. Standing there for hours, getting their voices hoarse, not eating dinner on time—these aren’t a problem because they love what they’re doing. I love you, 3rd Crew! 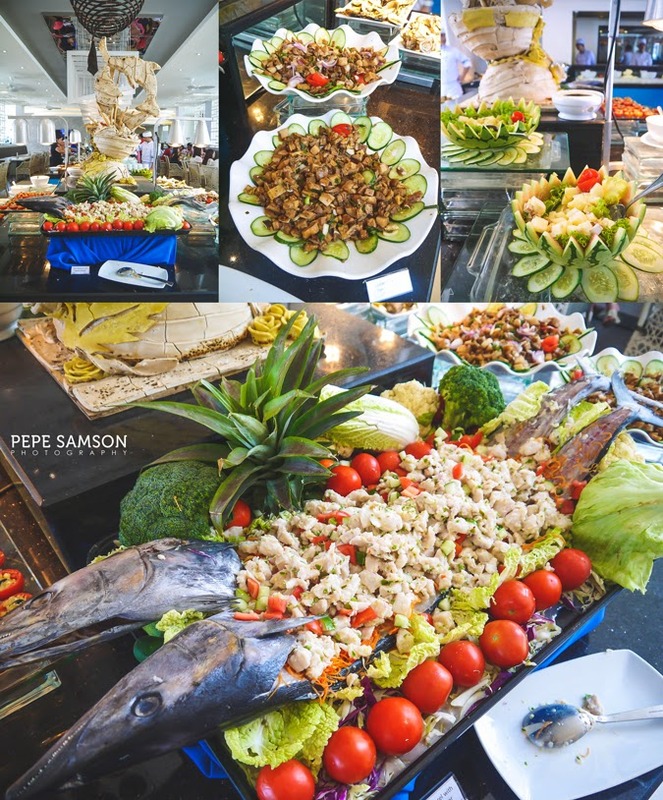 The spread consists not only of Pinoy favorites, but a selection of dishes from other cuisines as well. 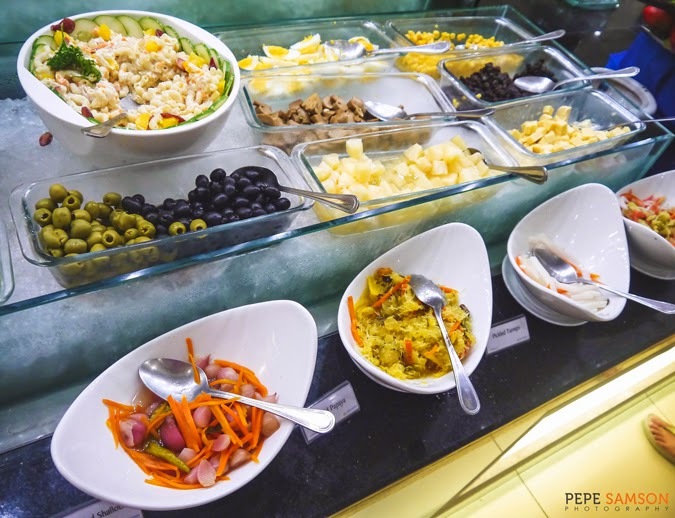 Each night has a special live cooking theme, but some stations, like the salad and dessert stations, don’t change items that much. 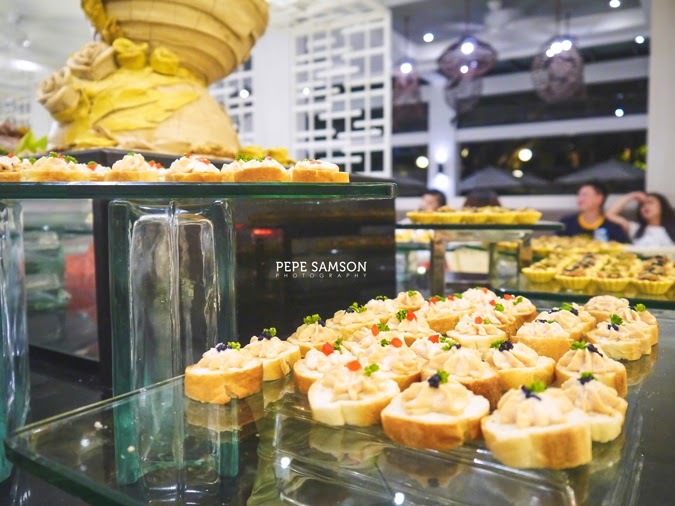 The appetizer section usually consists of a mix of Asian dishes, as well as freshly baked breads and local food like kilawin (Pinoy ceviche)—which I totally loved. 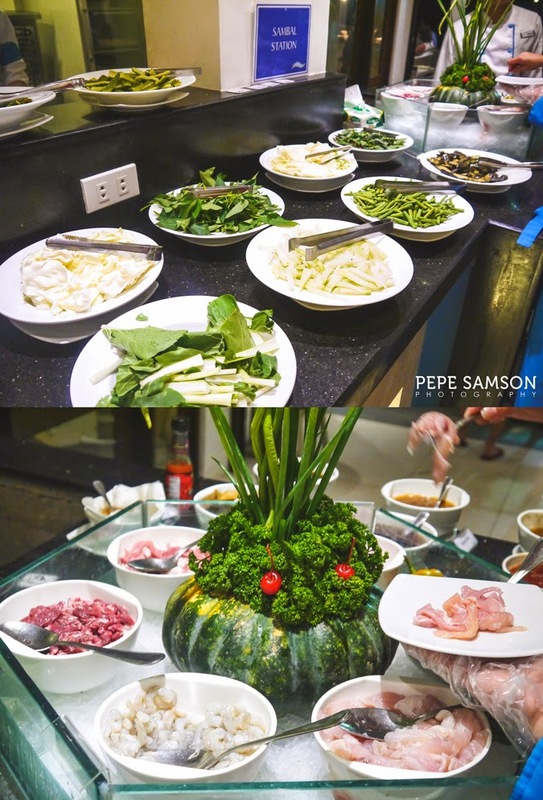 The restaurant offers a variety of entrees: seafood, pork, beef, chicken, vegetables, as well as 2 to 3 types of rice. 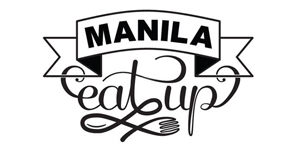 During my two-day visit, no entrée was offered on both days—good thing I stuffed myself mad with lechon kawali during day one. 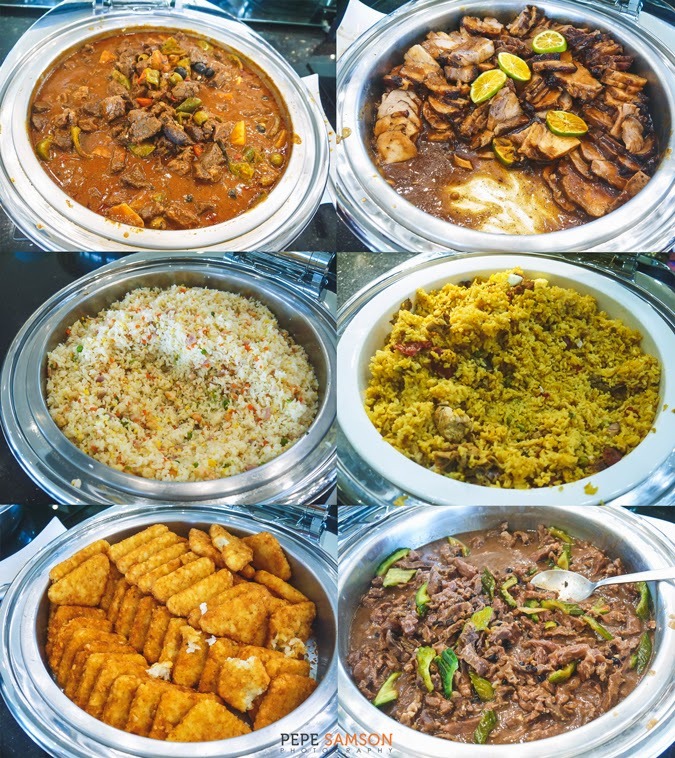 My favorites were the lechon kawali, caldereta, and paella valenciana. 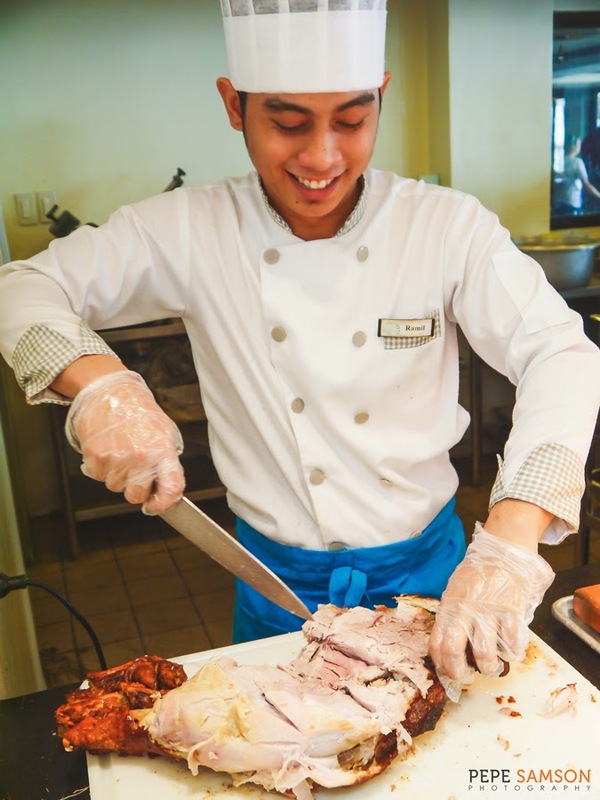 A carving section has 1 or 2 types of roast (chuck eye, lechon belly, etc.). 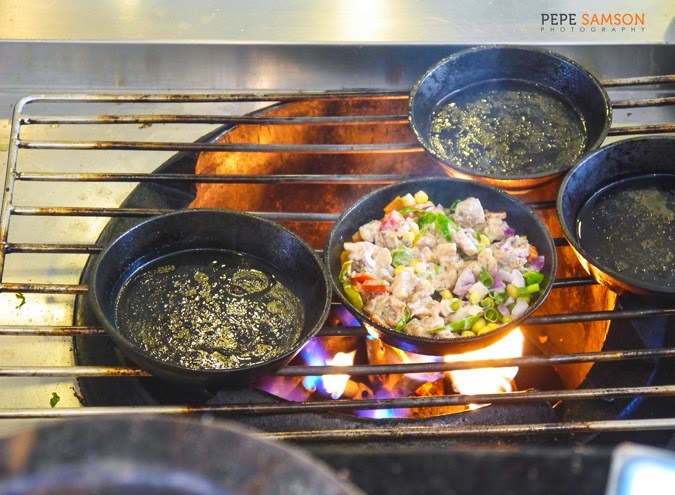 The grilling station is situated outside, with both red meat and seafood options. 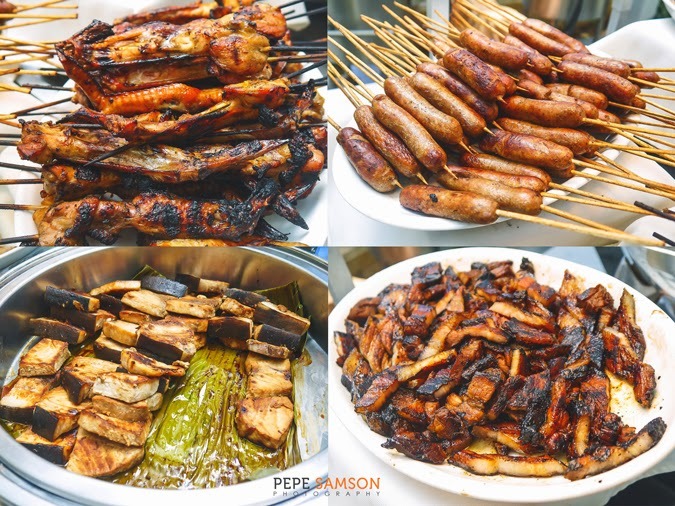 Freshly caught fish, shrimps and crabs await any seafood lover, while those who prefer chicken, beef, or pork (liempo) would find themselves satisfied as well. 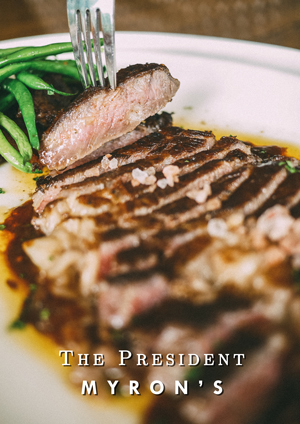 If you want unlimited steak, you can only get this during dinner service. 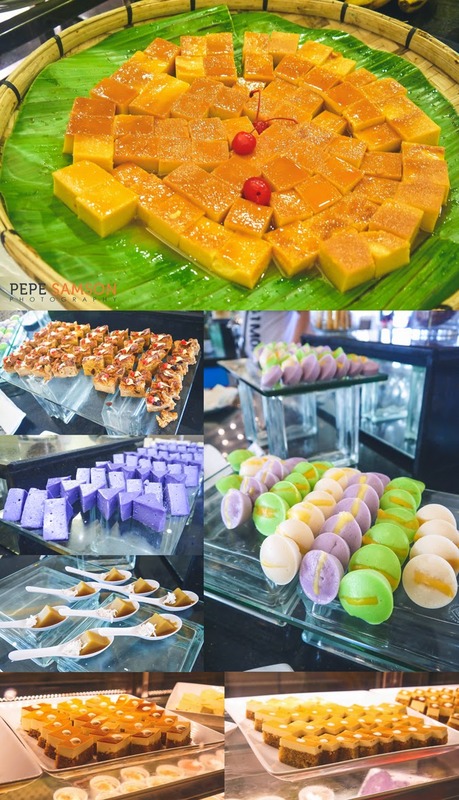 For dessert, Sea Breeze Café offers local delicacies like ube, leche flan, halo-halo, and puto. 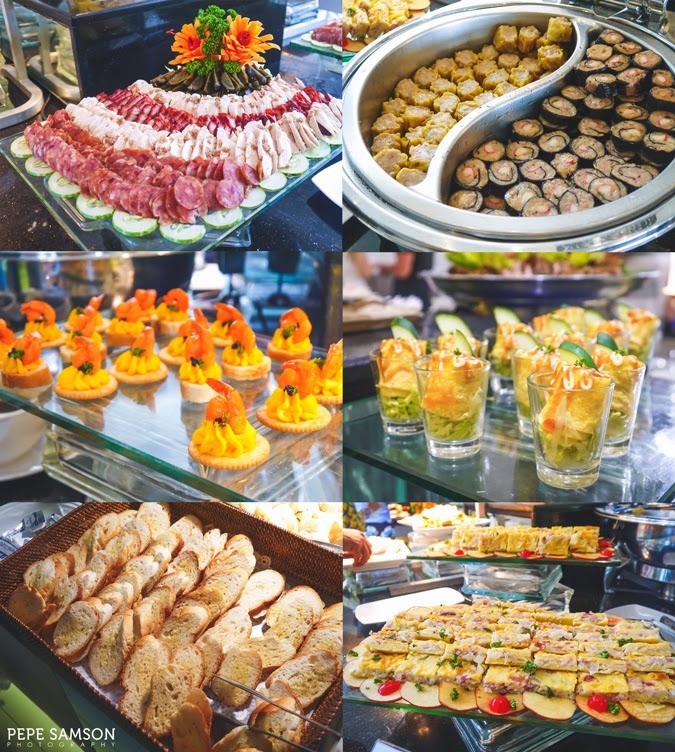 An assortment of cakes is displayed on the chiller, and a small sub-station offers a different kind of dessert daily. 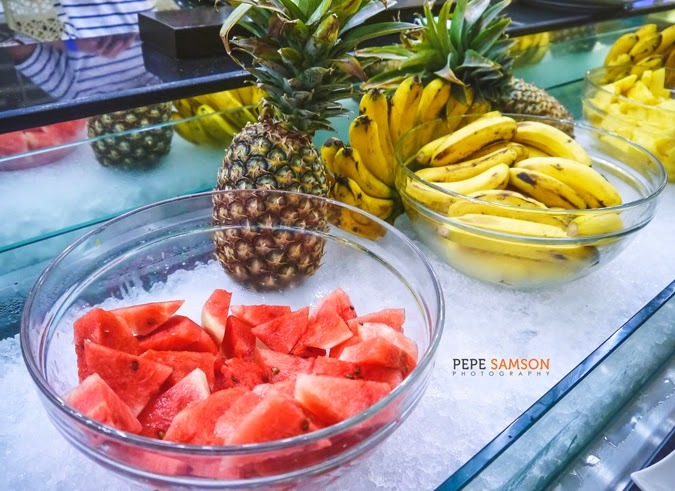 Fresh fruits are also available. Tip: if you see the oatmeal cookies, hoard them! One of my fellow bloggers forced us to taste it. It was really good! 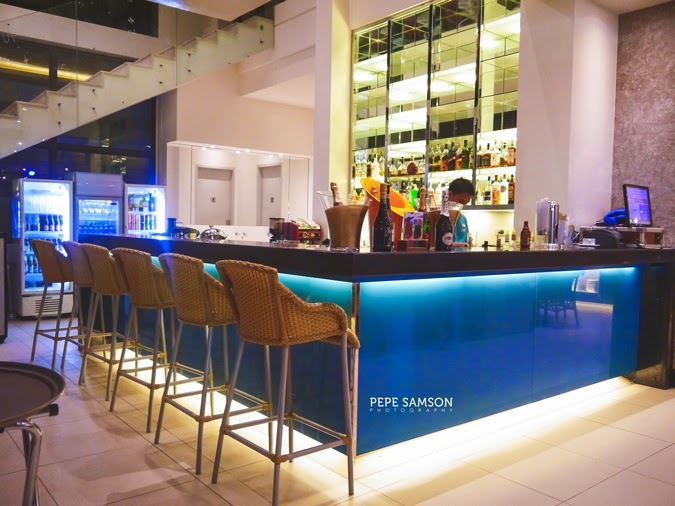 The bar is well-stocked, and the cocktail list extensive. 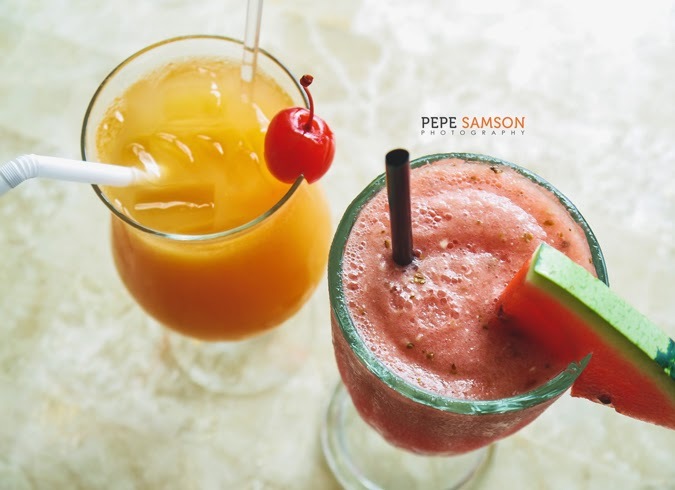 However, if you prefer non-alcoholic drinks, you must try their fresh fruit shakes and smoothies! 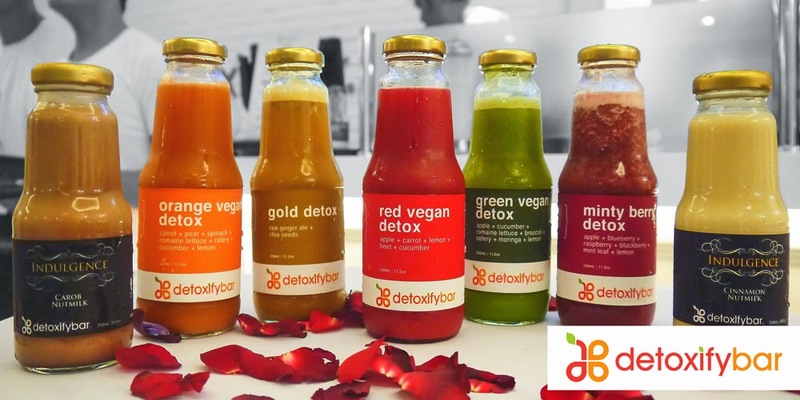 Try their mojito and whisky sour. 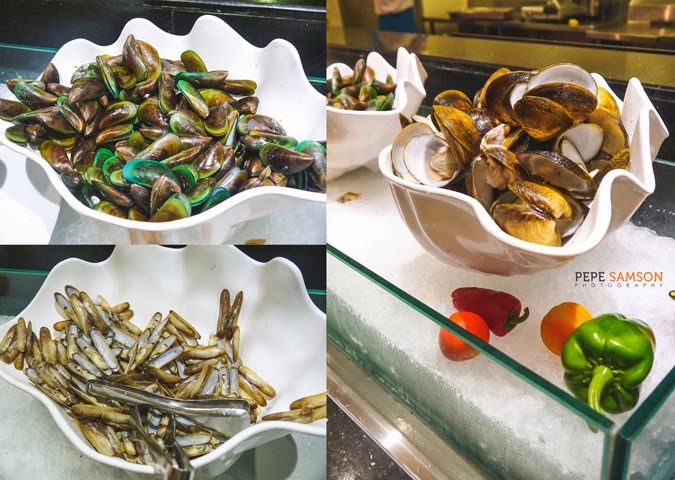 Sea Breeze Café’s live cooking station offers a different feature every night. 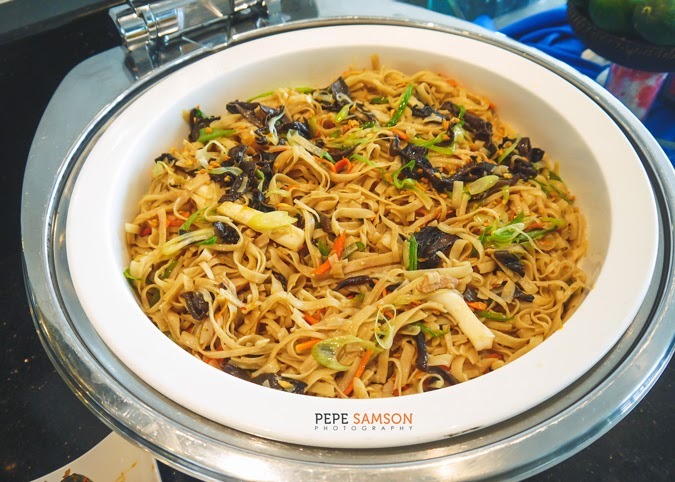 On some days, it’s Asian Stir Fry, while other days will let you feast on Sambal, Hawaiian, Make-Your-Own Sisig, or Pasta Frego. 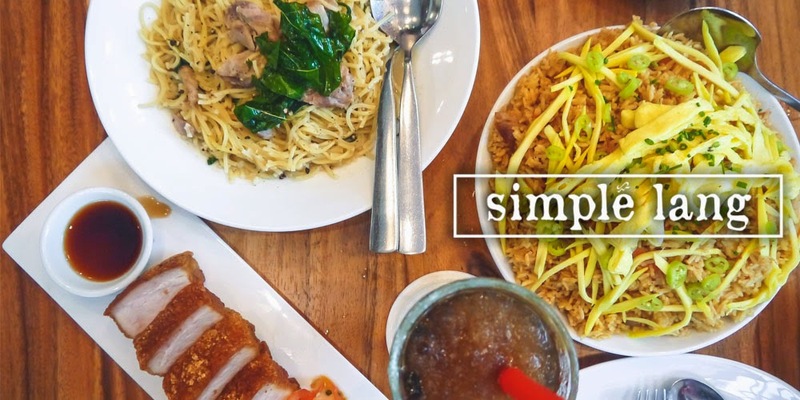 This is something exciting especially for returning diners who would prefer seeing a different selection on their second visit. 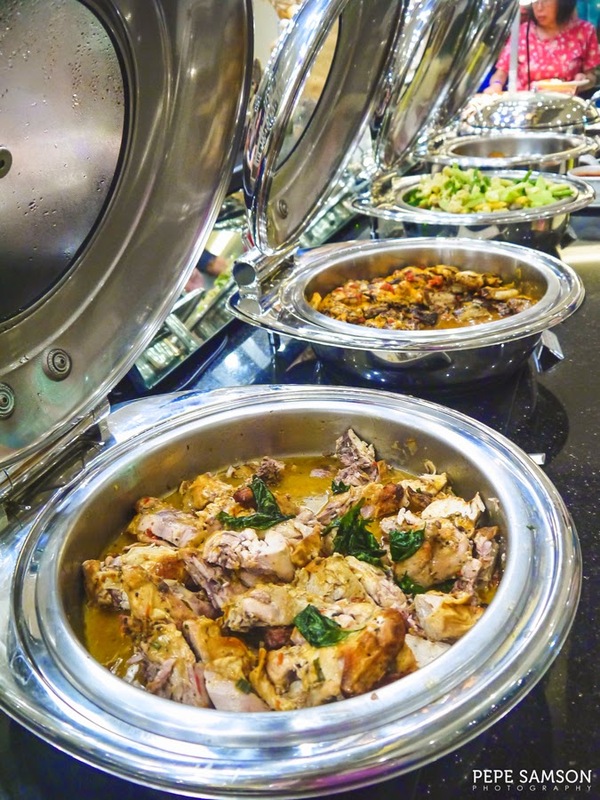 Actually, even if you dine there for lunch and dinner on the same day, you will see a different live cooking, carving, and entrée spread. 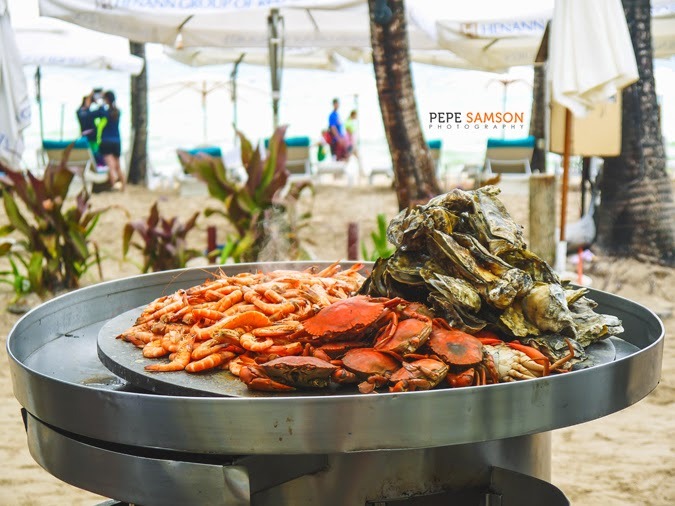 For only PhP400++ for breakfast, PhP450++ for lunch, and PhP620++ for dinner, you can enjoy the biggest buffet spread in Boracay. 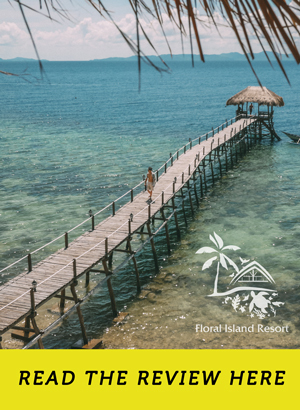 It’s crazy how affordable this is, especially since, if you think about it, an a la carte meal in any of the seaside restaurants in White Beach can easily cost you PhP300. Spending a bit more will give you a bit more food variety, plus an entertainment you cannot experience elsewhere. 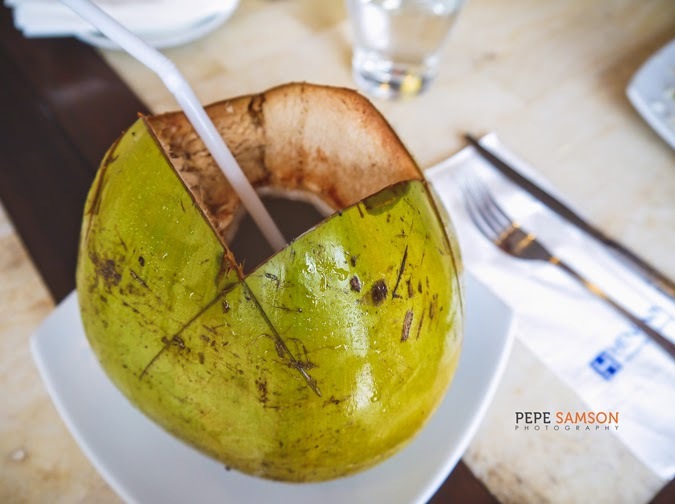 Who can say no to a fantastic lunch by the beach, the turquoise water within your sight, as well as the endless stretch of coconut trees and fine white sand? I can’t. 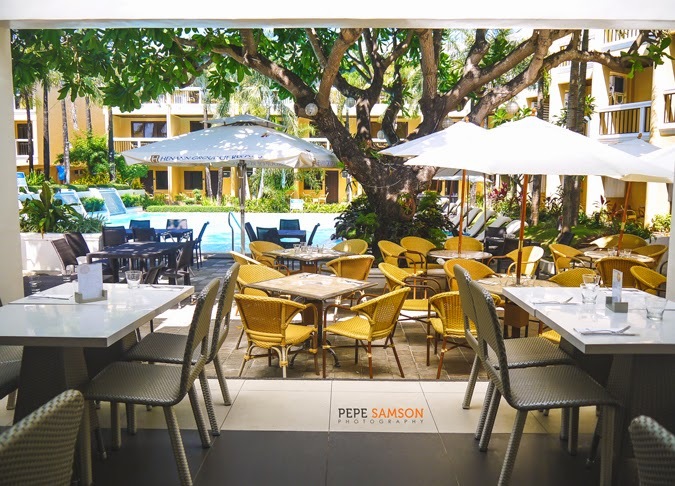 Choose a table in the alfresco area and enjoy the breathtaking sights and the fresh air as you feast on your favorite lechon kawali, sisig, prawns, liempo, or any other special the chefs have prepared for the day. 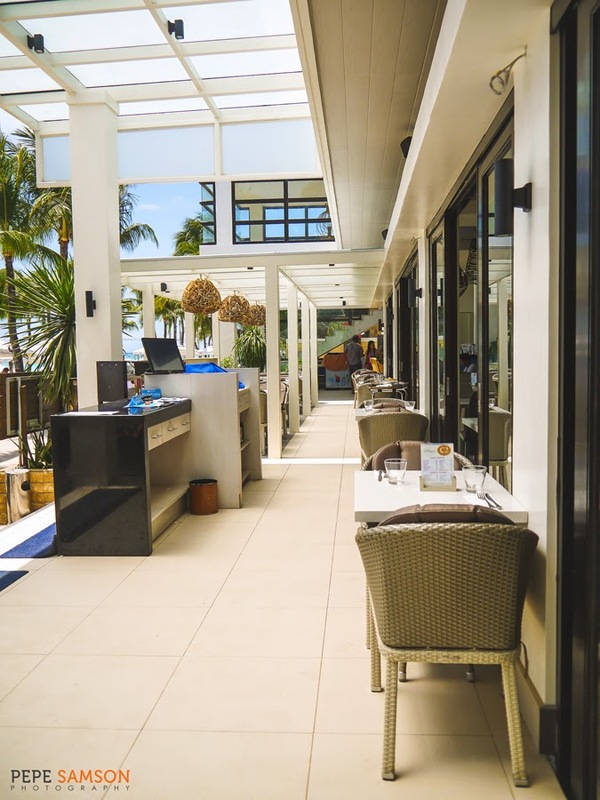 If all beachfront tables are already occupied, several outdoor seats are also available at the back, where you can view the Henann Regency pool. 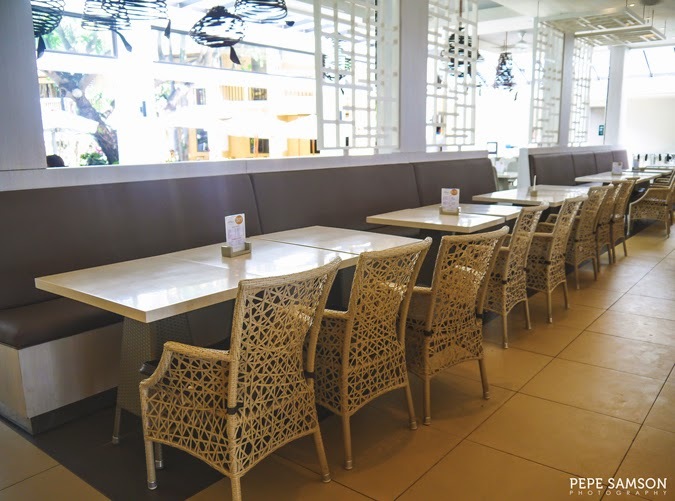 By nighttime, the Sea Breeze Café turns into a glowing spot with lamps turned on, giving the outdoor seats a more romantic and relaxing atmosphere. 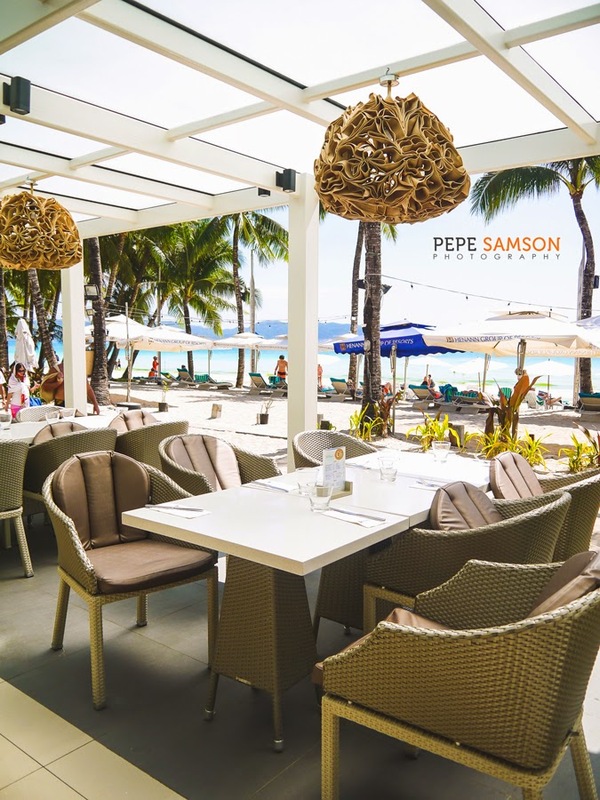 Whether it’s for a full dinner or just a few cocktails, the restaurant is the perfect place to be. 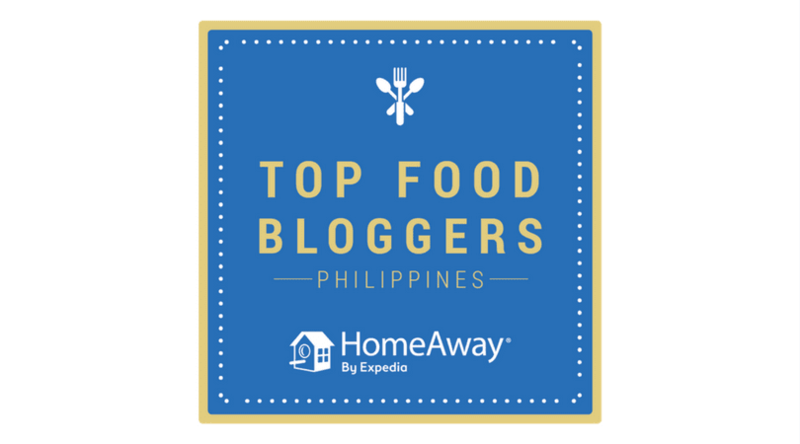 All the chefs are either from Aklan or from any of the nearby provinces—no foreign chefs or Manilenos were flown in to Boracay to head the kitchen. 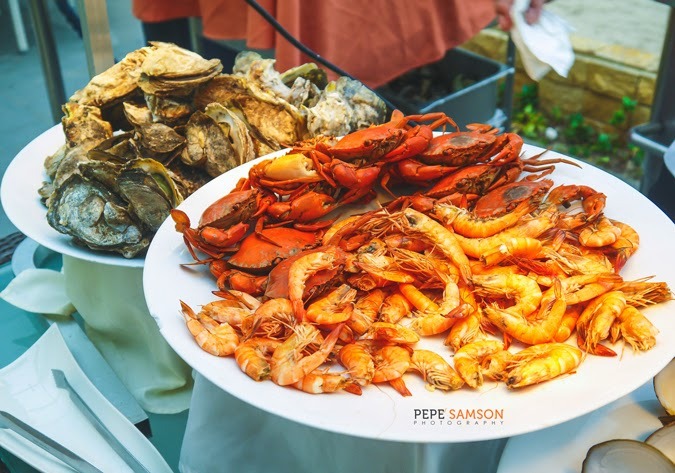 In addition, the ingredients are sourced from local markets, thus supporting the livelihood of farmers and fishermen. 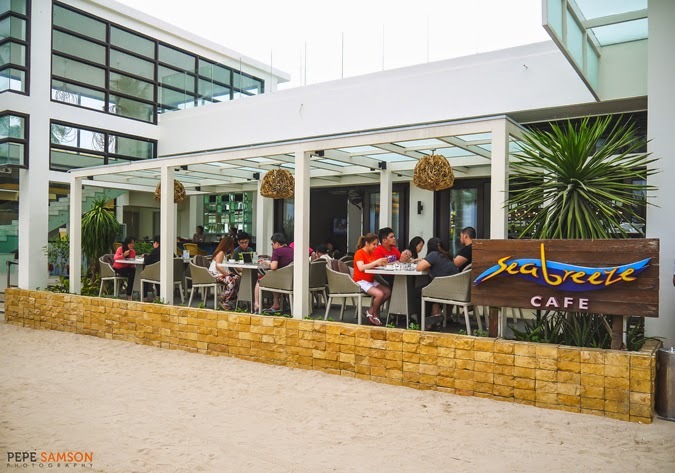 Have you tried Sea Breeze Café in Boracay? How did you find it? Share your thoughts in the comments section below! My meals were sponsored by Sea Breeze Cafe. All opinions, however, are my own.